December is a great time to exercise because exercise is a great way to relieve some holiday stress. This month’s exercise is the Cable Row. This is a machine resistance exercise which targets the back and spinal muscles, mainly the rhomboids, trapezius, latissimus dorsi, rear deltoids, and biceps. Many variations of the cable row exist because of the numerous cable handle attachments that you can use. In this example, I chose to use a narrow-grip handle. Before you begin, select an appropriate weight in which you can pull through a full range of motion without the need to lean backwards. 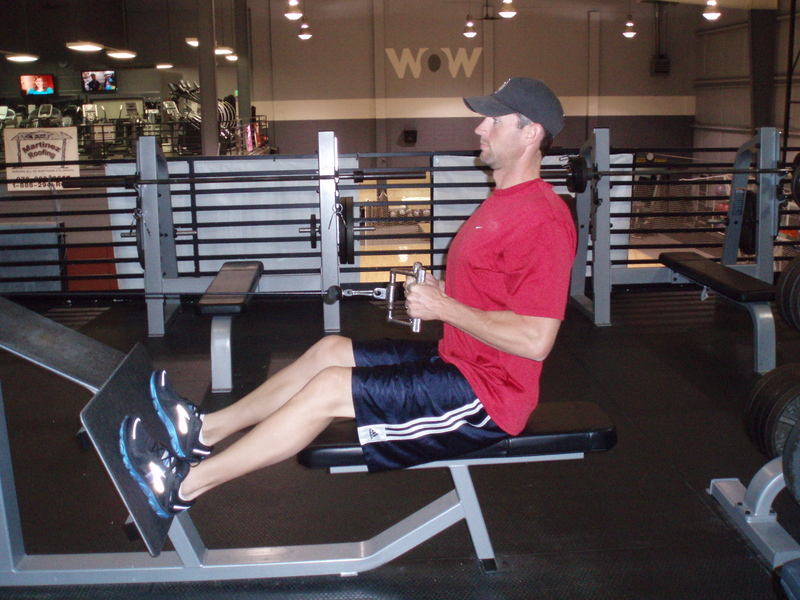 Most cable row machines will have a flat bench to sit on with an angled foot-plate to position the legs and feet. Others might have an adjustable seat and chest-pad to lean against without a foot-plate. The start position for this exercise is shown in Figure 1. What I do first is grab the handle with both hands and then place one foot on the plate to help scoot back on the seat. The handle will be too far forward to reach if you sit down in position and then try to grab it. 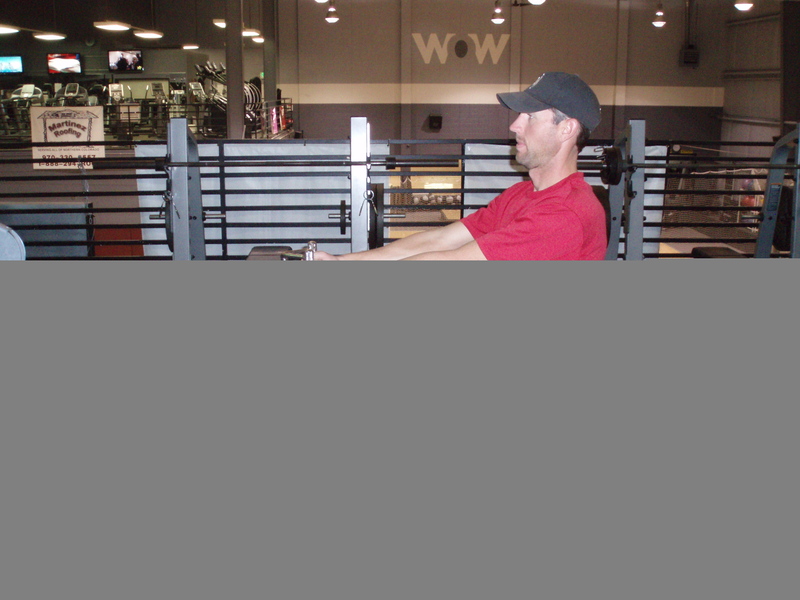 Once you secure the handle and pull it away from the machine, both feet should be placed on the foot-plate, knees slightly bent, arms extended straight in front of you, and seated in a good, tall posture without leaning backwards. Now you’re ready to begin. Pull the handle toward your abdomen using your upper back muscles (not just your arms) until the shoulder blades come together and your elbows are slightly behind the torso. Stay in the upright position (Figure 2) throughout the row. You can pause for a moment before controlling the weight stack back to the start position by extending your arms straight. Remember to keep breathing too, exhale on the pull, and inhale while lowering the weight. Try 2-3 sets of 10-15 reps. Enjoy some holiday fun and start thinking about those upcoming resolutions. Merry Christmas and Happy Holidays to you and yours. « Get Your Holiday Glow On!